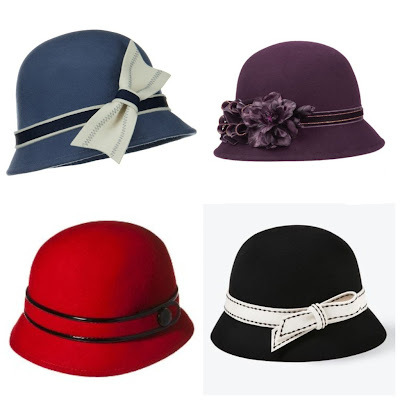 If you are looking for a hat to wear this winter, you may want to try a cloche style hat. The 1920's flapper hats are about the cutest hats out there! very stylish assortment, love the plum! i have an all black one like the black and white one you featured. i put a peacock feather on the side and wear it to church - love hats! hats are such a joy.